A search and rescue operation involving over 100 people is underway in Spain to find a toddler believed to have fallen down a borehole in on Sunday. The rescue team hopes to reach the missing child via either a vertical or a horizontal tunnel currently under construction as the search for the missing child entered its fourth day. Julen, 2, who was reported to have been out walking with his family in the small town of Totalan in Malaga on Sunday afternoon when he fell down the narrow 107-metre-long hole. He hasn't been seen or heard from since. Rescue teams decided to build the tunnels with the objective digging 80 metres deep, where the child is believed to be, Juan López Escobar an engineer working on the ground told Euronews. Authorities were quoted in Spain's Cadena SER news outlet on Wednesday morning as saying hair had been found in the borehole, with DNA tests confirming it belonged to the toddler. More than 100 people from across several specialist teams have been deployed to help in the ongoing search. However, after several days of searching, rescuers were no closer to finding the boy. The official Twitter account for emergencies in Spain's Andalucia region said rescuers were "working tirelessly", but had no news on the whereabouts and wellbeing of the child. The depth and diameter of the hole have made the rescue operation very difficult. Spain's president, Pedro Sanchez, said in a tweet late on Sunday that he was hoping "for the best outcome" for Julen and his family. "I share the anguish of the family of the little 2-year-old who has fallen into a borehole in Totalan," he wrote. "Let's keep hoping for the best outcome." 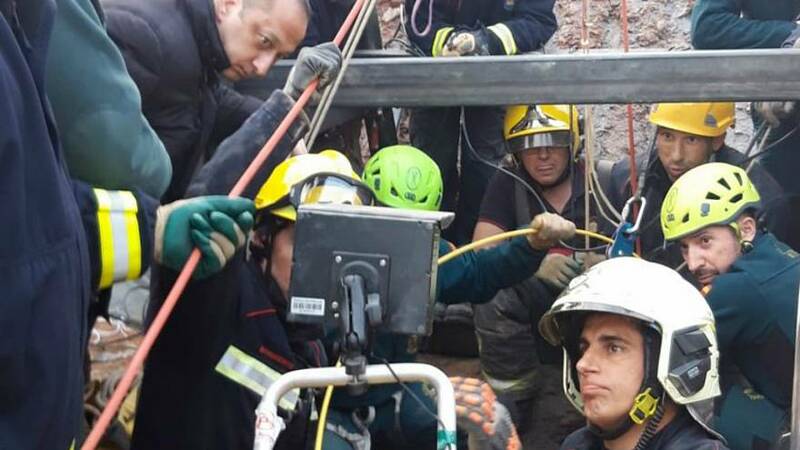 Malaga firefighter Antonio Avila told local news outlet Malaga Hoy on Monday that the rescue operation was particularly complex due to the borehole's narrow shaft, worries over collapsing walls, and because there had been no sighting of Julen since the initial incident at the weekend. "The problem is because it's a vertical hole, even if you enter, you would have to do so face down, and in such a long pit, there is no possibility that someone can go this far upside down," he said. When asked about Julen's possible wellbeing, Avila remained realistic. "Possibilities are always there," he told Malaga Hoy. "But of course, [more than] twenty hours have passed... with cold." "We do not know how deep [the borehole] is, we do not know if there are any water currents, if there are any pockets of gases or air." 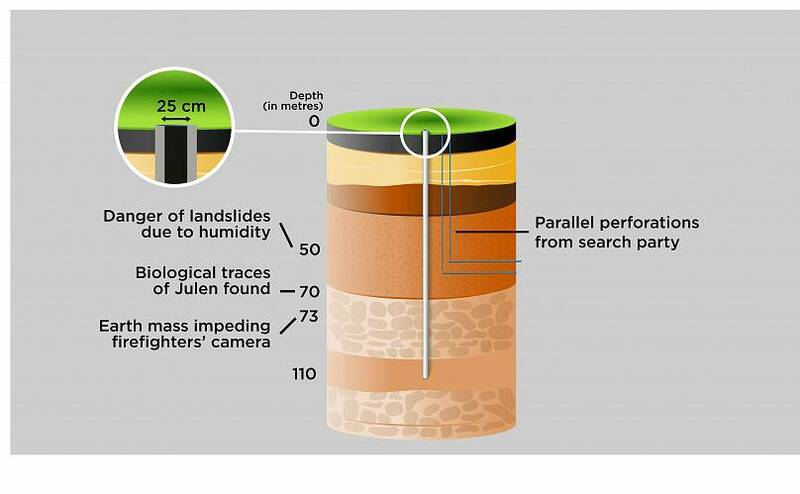 However, Julen may be safe "if the child has stayed under a layer of mud and there is an air pocket... there have been other cases in the event of earthquakes or in natural disasters in which this miracle has occurred."